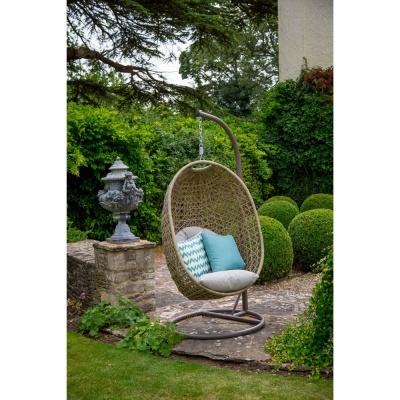 Bramblecrest Oakridge Single Cocoon Garden Hanging Swing Chair With Cushion Set brings a new added delight to time spent either in the garden, on the patio or out on the balcony, relaxing and swinging in the breeze. 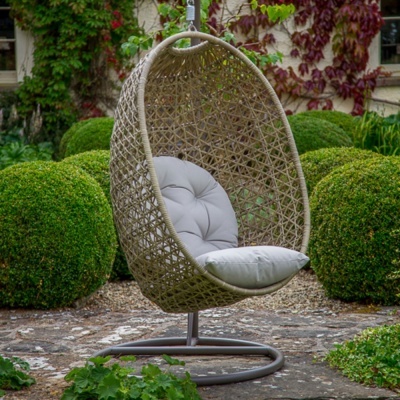 Take a good book, magazine or just sit and rest a while, whilst the outdoors enjoys your company. 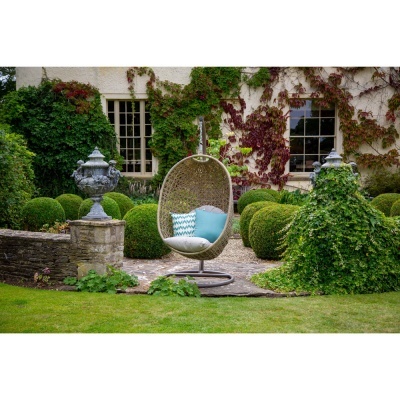 Bramblecrest's popular Cocoon Hanging Chair is wrapped in all weather 5mm half rounded rattan wicker weave, resistant to the elements, so suitable for leaving outside all year round. 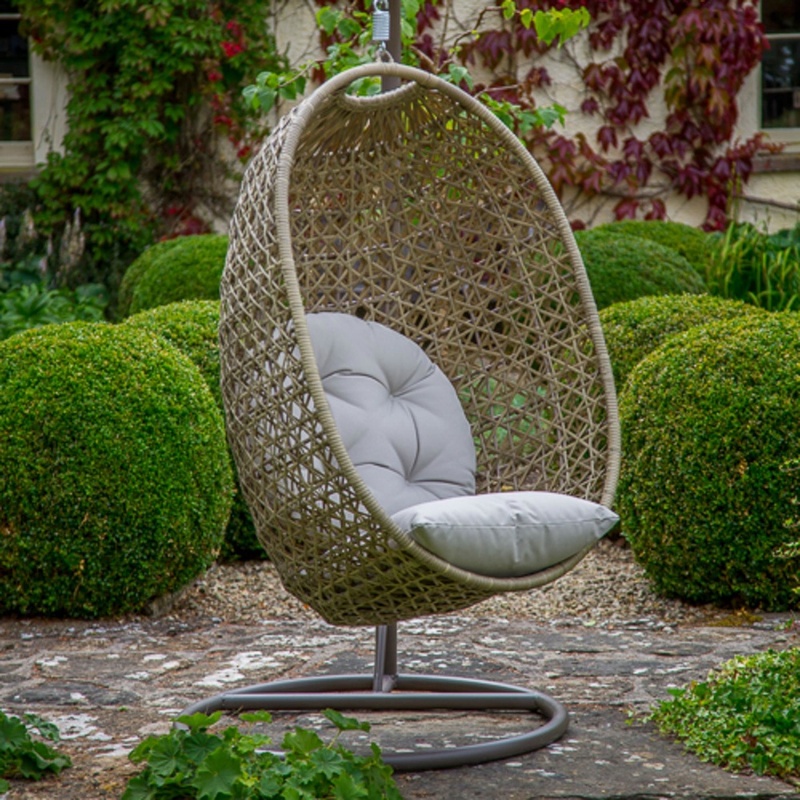 The chair promises a high quality garden furniture investment, complete with soft fawn cushions and a sturdy rust-free aluminium frame. 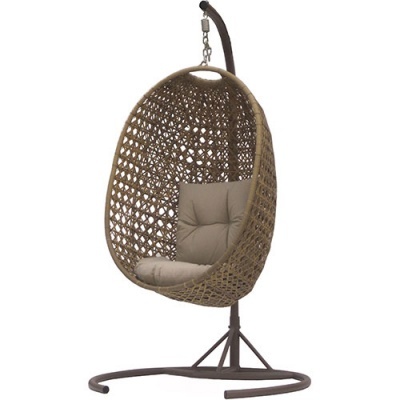 The Bramblecrest Oakridge range of furniture compliments each other, and this single Cocoon Garden Swing Chair is a delightful way to enjoy the Summer months. Note: Scatter cushions pictured are not included. Delighted with the chair. Easy to assemble, very strong & good quality. Arrived extremely well wrapped & protected but took some time to remove all the plastic. Very comfortable with lots of cushions .A touch of luxury in the garden & looking forward to relaxing in the chair in the sunshine.